The YEP-201 is an excellent alternative for younger players, or when budget is a strong consideration. It is lighter weight than more advanced models making it easier to hold and play, but still features a big full sound, and easy response. A high-energy laser fuses the brass together for a virtually seamless bell, which allows continuous even vibrations. The excellent intonation of the YEP-201 helps to foster a feel for correct pitch in beginning players. The responsiveness of the YEP-201 assists beginning players in learning the phrasing of the euphonium. 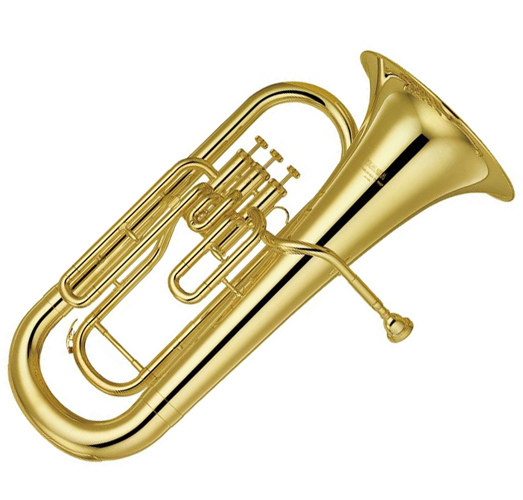 The student euphoniums are lightweight, making them easier for younger students to handle. The YEP-201 euphonium is available with a silver-plated finish.